Comprising yttrium (element 39) and everything from lanthanum (element 57) to lutetium (element 71), the rare earths are unfamiliar to most of us. But they are vital for technologies that we use every day, from fluorescent lights to the internet. Recently, we have shown that one rare earth element, erbium (element 68), can play a crucial part in the future quantum internet. What are rare earths, anyway? Even the name "rare earths" is misleading. In fact, rare earth elements are not particularly rare. Cerium, for example, is as common as copper. The name "rare earths" came about because they are dispersed in ores and are difficult to extract, so only small amounts could be isolated. Today, though, we extract over 100,000 tonnes of rare earth elements annually. The applications of the rare earth elements are wide ranging. Metal alloys – that is, mixtures – containing rare earth ions such as neodymium make the strongest magnets. They're used in everything from audio speakers to electric motors. The catalytic converters that reduce harmful emissions in car exhausts use cerium, and rechargeable nickel metal hydride batteries use lanthanum. Crystals containing rare earth ions absorb and emit light at a variety of useful wavelengths in the ultraviolet, visible and infrared ranges of the spectrum. This means that rare earth elements are common in lighting. Crystal powders - known as phosphors - containing europium, terbium, and cerium are used to create the red, green, and blue pixels that make up a full-colour plasma television display. They're also mixed together to create the white light from compact fluorescent light bulbs. 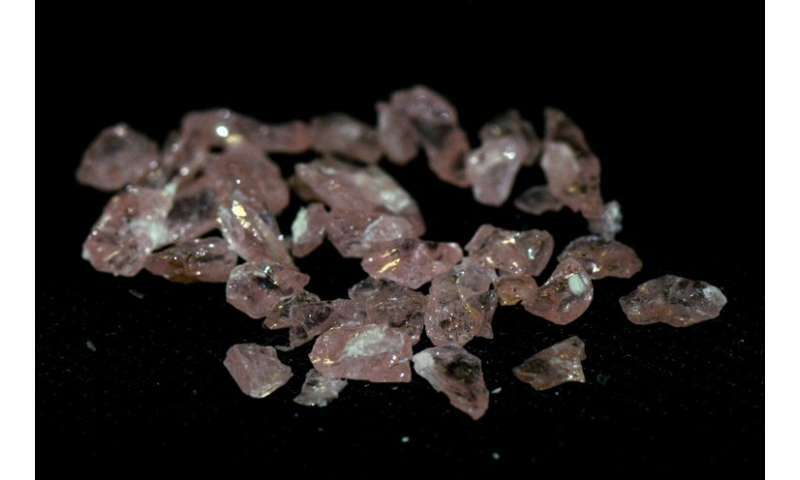 Erbium, meanwhile, plays a vital role in the internet's optical fibre network. 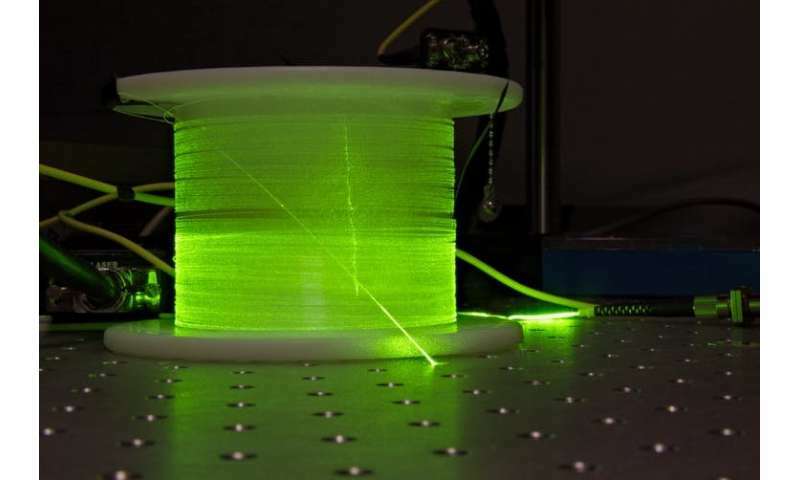 Most global internet traffic travels as light in optical fibres. This allows fast transmission with very low loss at the right wavelength (around 1,500-1,600 nanometres; one nanometre is one billionth of a metre). Even so, over long distances this loss - light leaking out of the fibre - is a major problem, and the light has to be periodically amplified. Since erbium absorbs and emits light at 1,550 nanometres, exactly in the middle of the fibre telecom band, it can be used to amplify the light in a device called an Erbium-Doped Fibre Amplifier (EDFA). The undersea optical fibres that form the backbone of the internet have EDFAs every 80km or so. The internet allows current-day computers to talk to each other, but researchers are now developing quantum computers. Erbium could play an important role here too. Quantum computers make use of one of the stranger aspects of quantum physics - quantum superposition, where particles can simultaneously exist in two different states - to encode information. To get these computers talking to each other, we need a new type of network that can maintain this quantum information. In other words, a quantum internet. To make the quantum internet we need to build the quantum analogues of each element in the classical internet. The quantum analogue of the EDFAs used as amplifiers in our current undersea optical fibres is called a quantum repeater. In turn, this would require quantum memory, which is used to store and synchronise information traffic in the network. Researchers around the world have been working on quantum memories for over a decade, but storing quantum information for even 1/1,000 of a second is challenging. We need storage times of at least 1/10 second for the quantum internet. It has also been very hard to make memories that work for light in the fibre telecom band, the wavelength required for optical fibres. The best approach to date has been to build the memory at a different wavelength, and to try to interface it with the optical fibre band by, for example, converting the wavelength of the light at the input and output of the memory - a challenge in itself. Since erbium interacts with light at exactly the right wavelength, it seems like the obvious choice for a quantum memory. However, erbium is poor at storing quantum information. The problem is that erbium is sensitive to the tiny magnetic field fluctuations that occur in crystals, and this rapidly degrades any quantum information it holds. Recently, we found that applying a large magnetic field can greatly improve the quantum storage time of certain erbium crystals. This field, which is similar to that inside a hospital MRI machine, quiets the magnetic field fluctuations. The erbium storage time can then improve by a factor of 10,000 to more than 1 second. 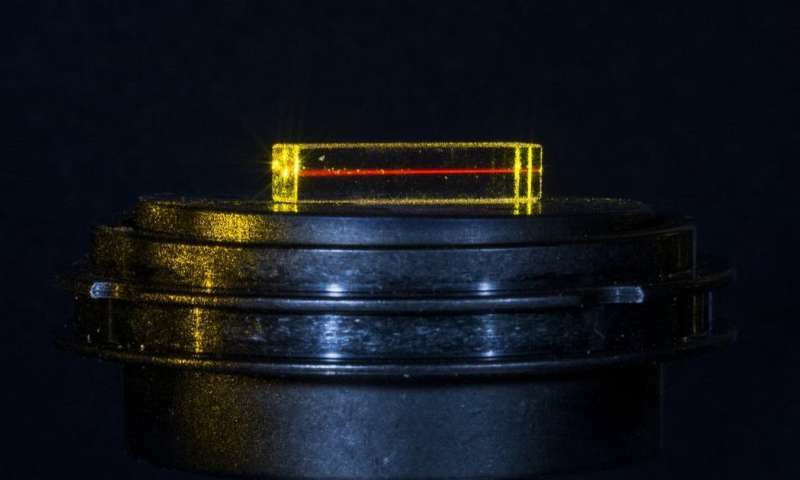 This is the first system compatible with the optical fibres required for a global quantum internet that has a storage time long enough for this network. The next steps are to build quantum repeaters with this system, and install them on a test network to measure their performance. In the future, erbium materials may be as integral to the quantum internet as they already are to our current internet.